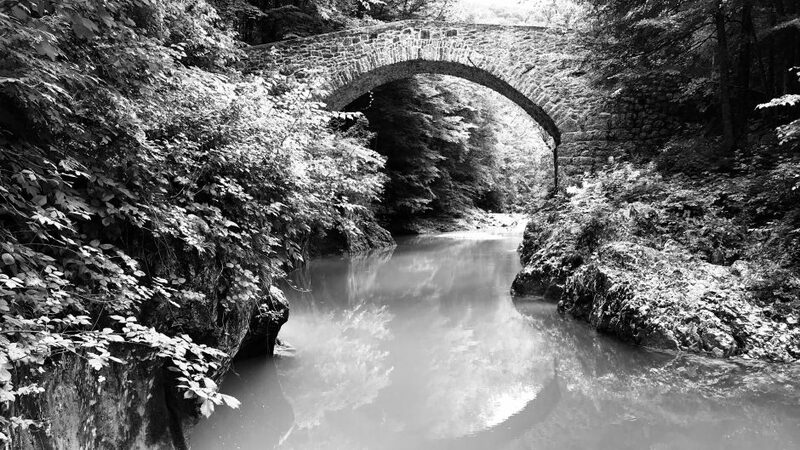 I am pleased that you have found the-hopefully not too stony-way to my alpine-swimming-blog. 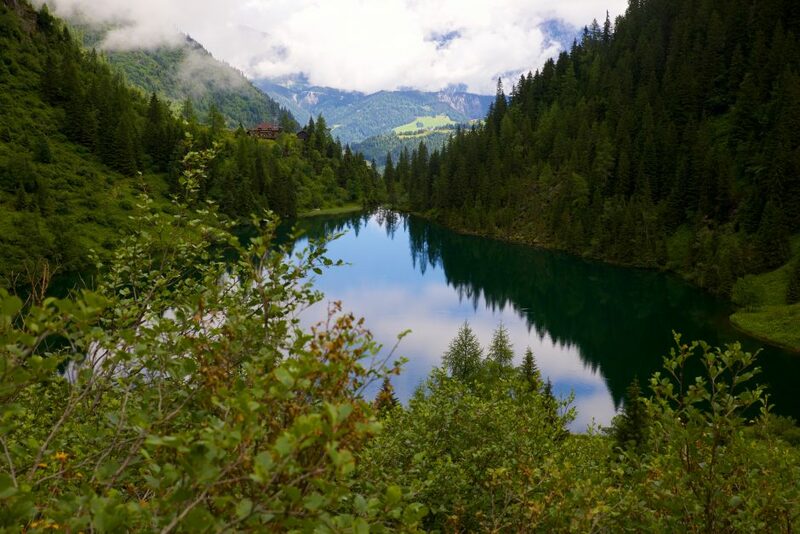 But what has one to imagine now exactly under the concept of Alpine-swimming that I have coined? 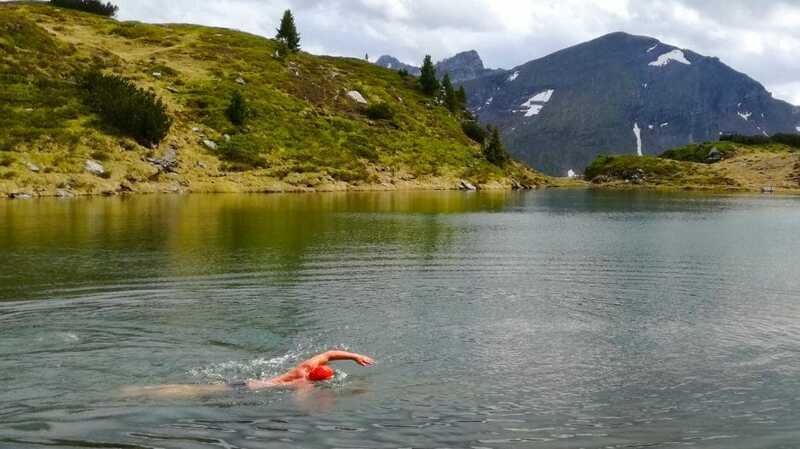 Alpine Swimming is for me everything you need to know about wildswimming in the Alps, i.e. 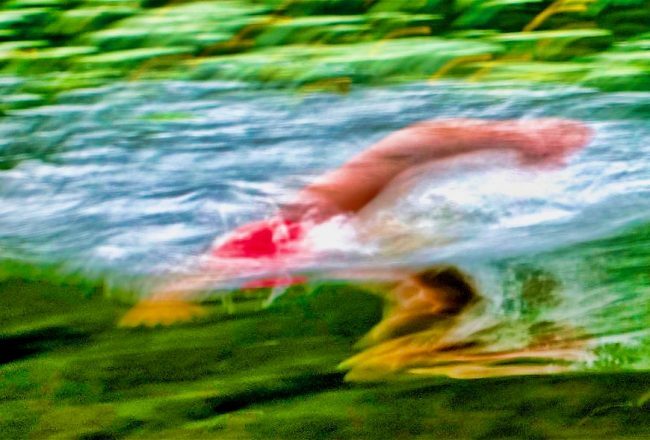 the wild Alpine swimming. 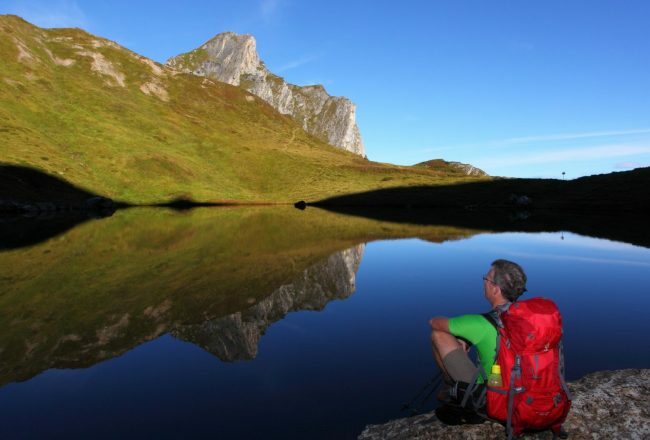 Depending on the location, this also includes a more or less distinct swim-hiking component. Wild dipping, on the other hand, refers to activities that are more about wild bathing than swimming-this will also have its place here. 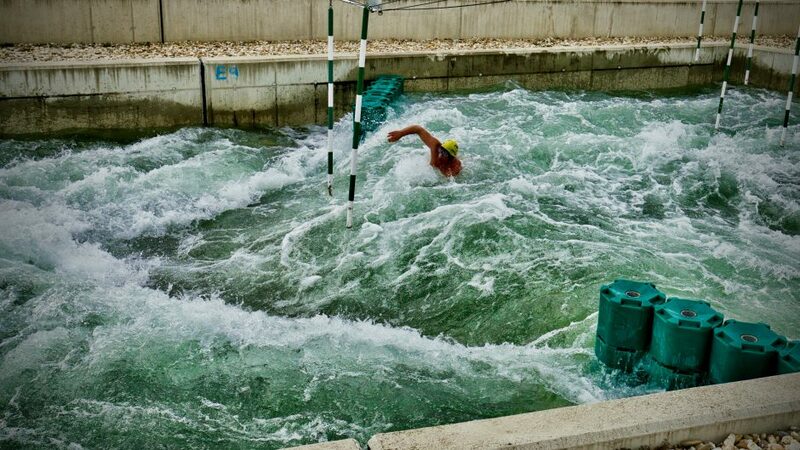 In the middle of March 2019, in relatively cold conditions – water and air about 8 degrees, strong wind – I swam the artificial whitewater channel on the Vienna Danube Island. My aim was to explore the possibilities for a swimming event in September 2019. Location and infrastructure are perfect to make a great and safe event here. 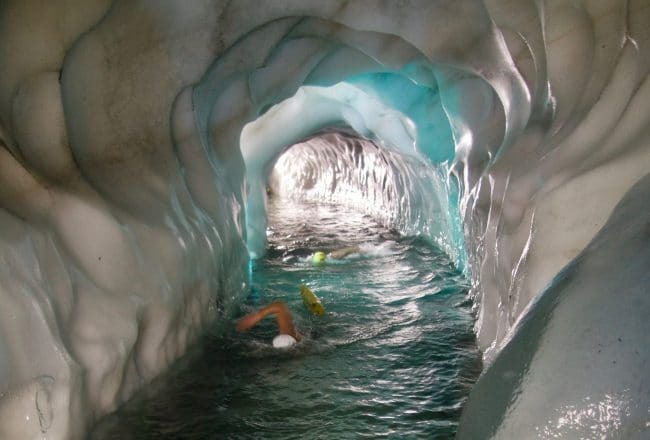 An international “Swim-the-Channel-Cup” would also be considered, as there are such artificial whitewater routes in many interesting cities worldwide. Mount Petzen in the Austrian-Slovenian border area houses in its interior mine tunnels of a total of several hundred kilometers in length. After the mine operation ceased in the sixties and the water was no longer pumped out, some of the lower mining horizons were flooded, creating underground lakes with crystal clear water about 8 degree Celsius. 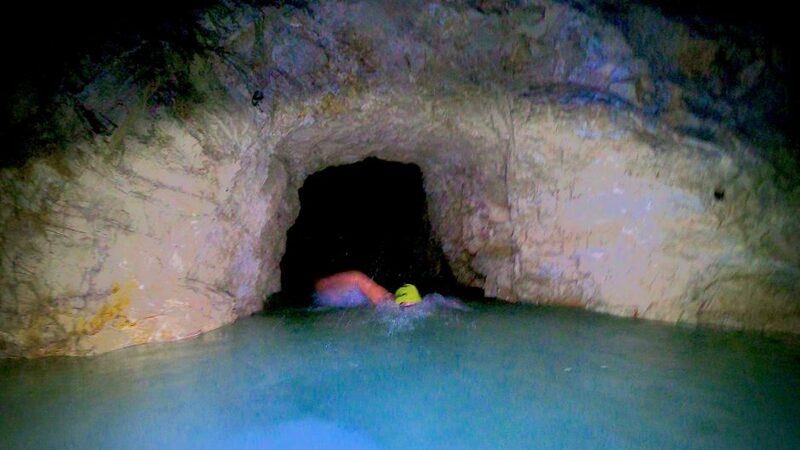 In December 2018 I swam there and will offer this adventure from 2019 as part of guided tours to other Wildswimming friends. For a change this time a trip to “non-alpine waters”. 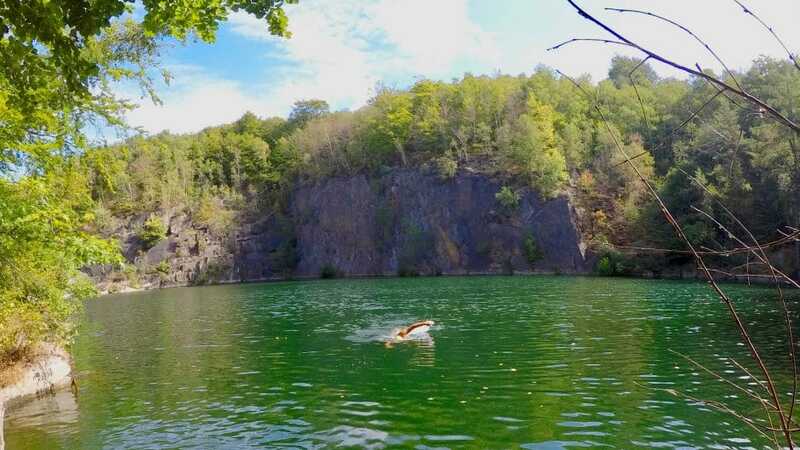 Around the Saxon Bischofswerda you will find abandoned quarries, which are perfect for wild swimming. 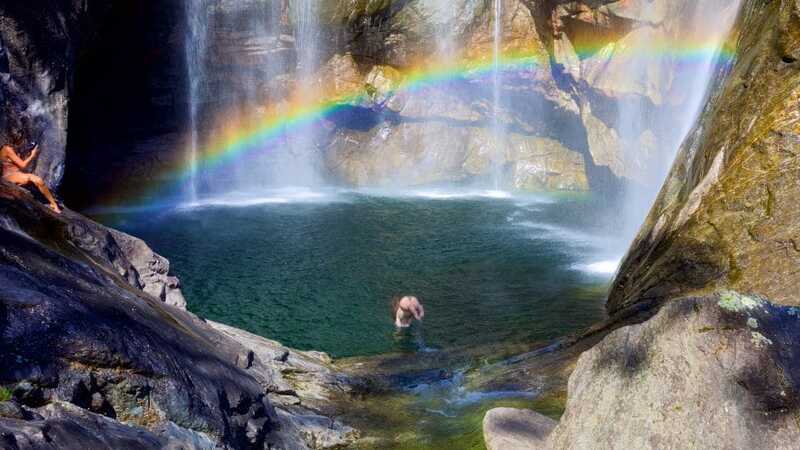 (Naked) wildswimming has been going on here for decades, even though it is officially forbidden for liability reasons. 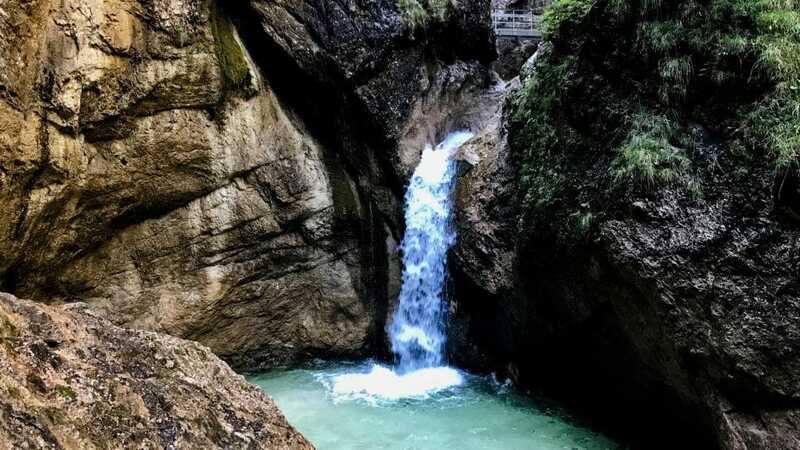 The Soca Valley is not only an El Dorado for kayakers and rafting fans, but also for those who have dedicated themselves to wild swimming. 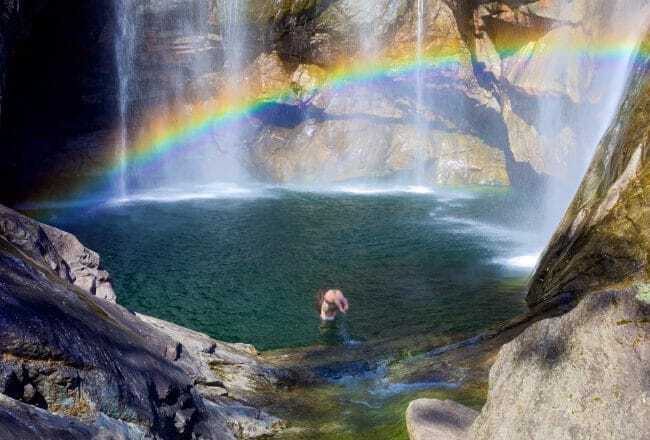 In addition to the eternally seductive Soca itself, there are countless beautiful bathing areas along tributaries, waterfall pots and mountain lakes. 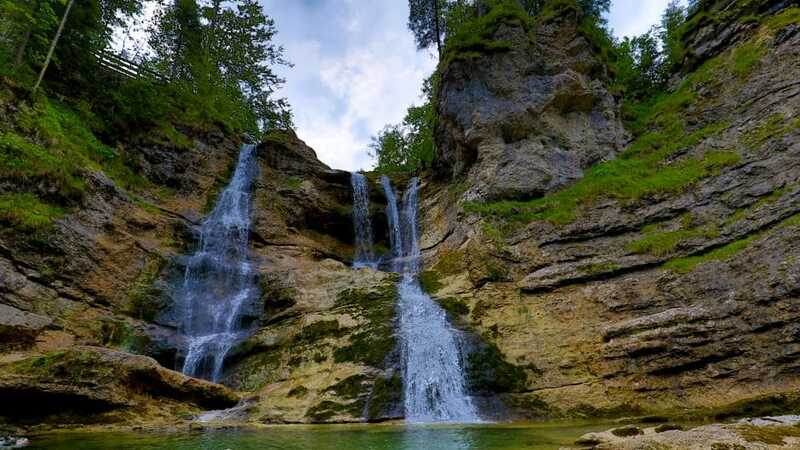 One of the most beautiful and spectacular spots is certainly the easily accessible Kozjak waterfall, which is located near Kobarid. When it comes to water quality, there is nothing in public pools without a “chemical club”. For the most part, chlorine is used as a disinfectant, both critically considering environmental and health concerns. 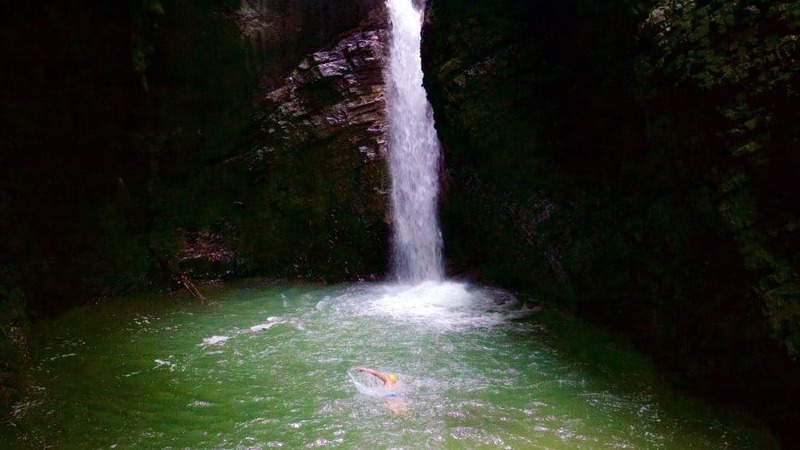 At wild bathing and -swimming, we rely on the natural cleanliness and self-cleaning power of our waters. Keeping both, as well as the conscious use of natural resources in and around these waters, should be a top priority for us Wildswimmers. Because wildswimming does not mean that we are allowed to perform outside like the “wild ones”. But on the contrary!